Not exactly flavors you’d expect to sell well in this day and age. 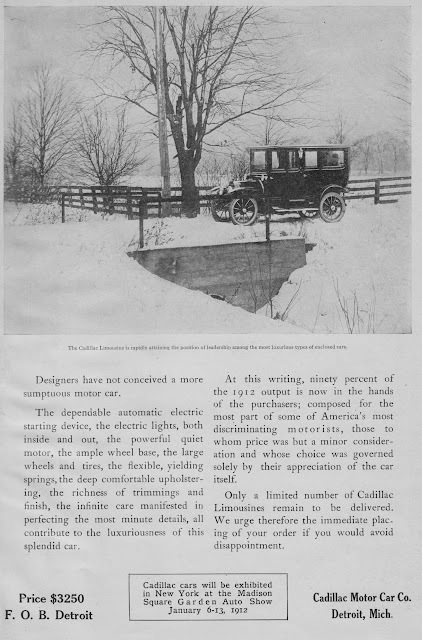 Yesterday we looked at The Literary Digest from 1911 in all its affluent glory. Today we look at Smart Set Magazine from the 20s. The two audiences couldn’t possibly more different. 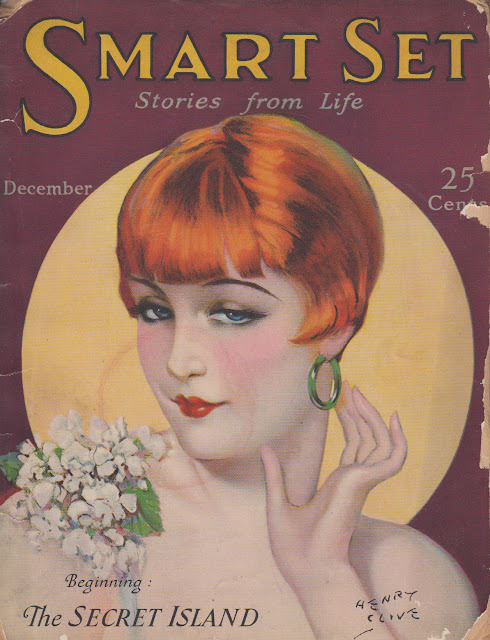 Smart Set is just the sort of magazine that one of our 20s Flappers would sit down to read between flaps. Most of the content is vacuous romance drivel and the ads seem to focus fairly firm on makeup. Usually I don’t bother with the covers since they’re not really advertising but this one struck me very firmly about the eyeballs. She makes quite a fitting icon for the times. 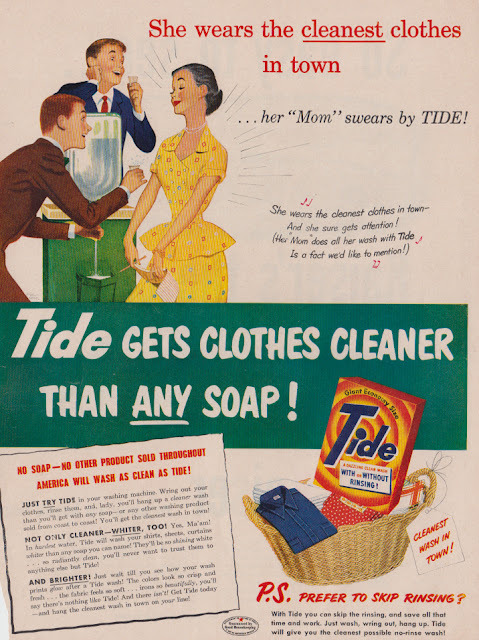 The majority of ads were for makeup and various accessories related to it. 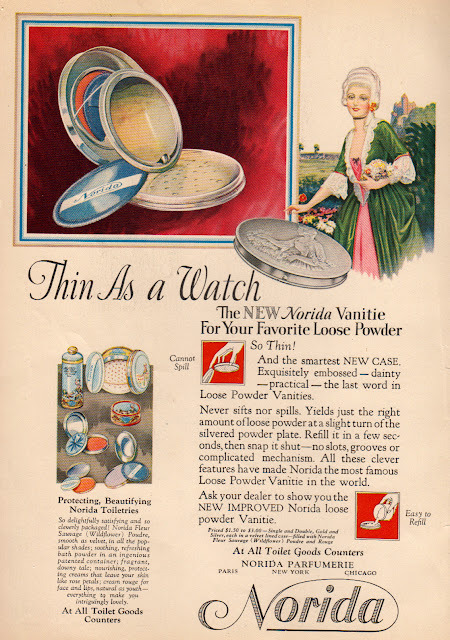 On the back of the front cover we find Norida powder cases. Who would have thought such a thing existed and deserved such a prominent spot in the zine? There are a few familiar names. Irene Rich (yes, THAT Irene Rich) uses Maybelline. Never heard of that Maybelline stuff but Irene Rich… WOW! 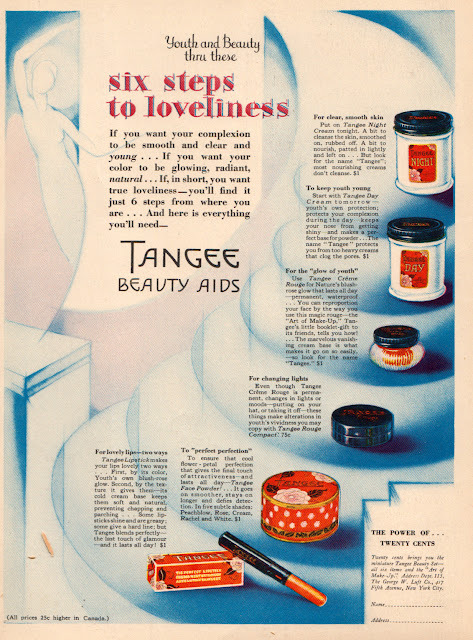 Tangee Beauty Aids offered a wide range of women’s make-up goop stuff. You can tell how attuned I am to this particular line of marketing. 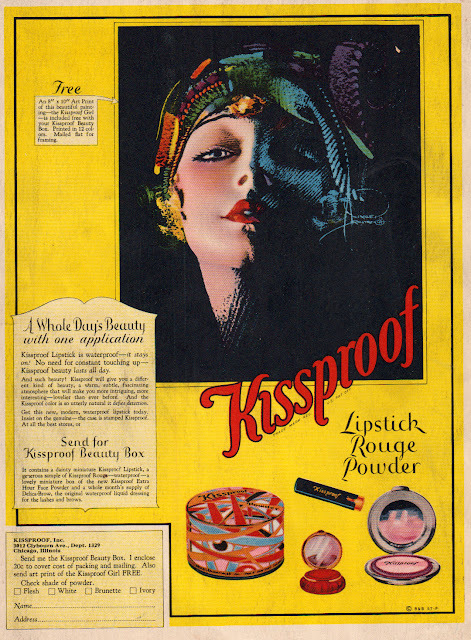 And Kissproof seems fairly suggestive of potential not-really-related-to-makeup activities though the woman in the picture looks like she might just be wielding a knife. When our flapper friends weren’t making themselves up for a night out, they were having a smoke behind the barn. They’re better because they’re toasted! 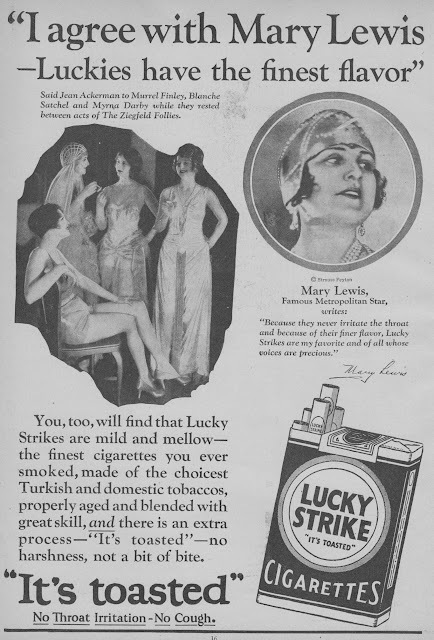 We haven’t yet gotten to the Lucky Strike Means Fine Tobacco era. 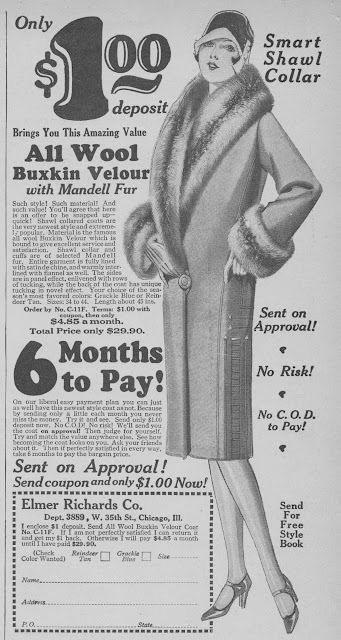 …or a Buxkin Velour Mandell Fur coat! Lastly, we know that any Flapper worth her salt can dance up a small storm. 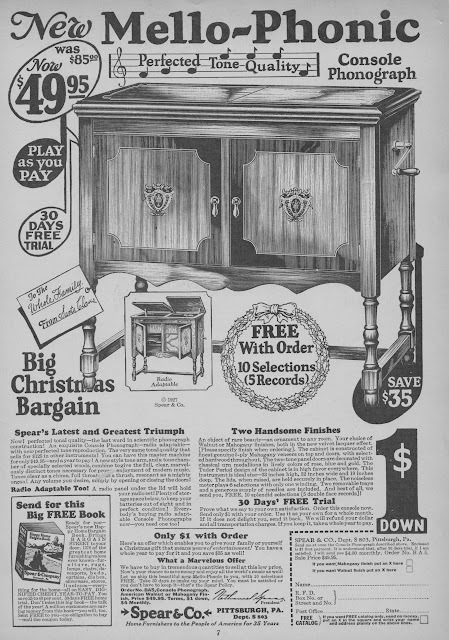 Since you can’t dance without music, we bring you the Mello-Phonic Console Phonograph. You’ll have to draw lots though to see who gets stuck with the job of winding it up. 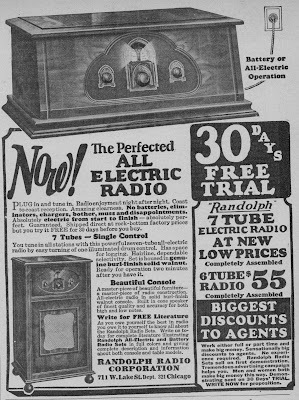 If you prefer your grinding without the winding, check out the All-Electric Radio. 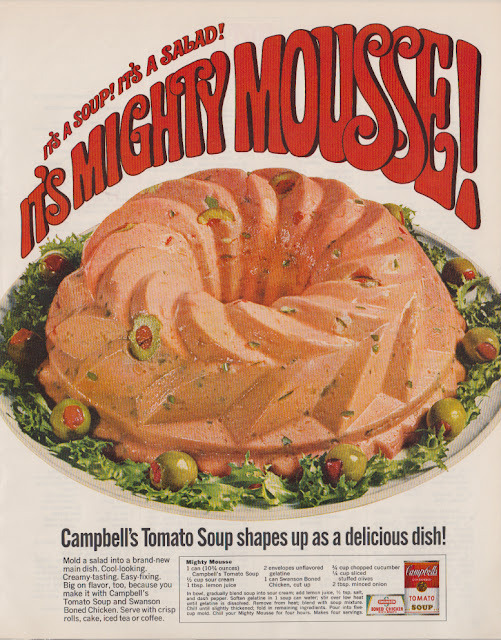 This beasty would cost you the equivalent of $700 back in the day. Oh, but wait. 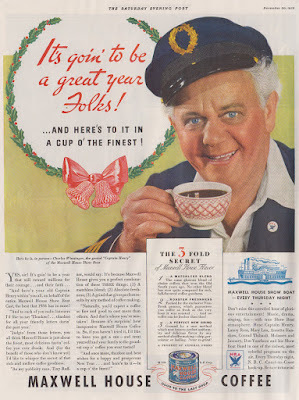 I found this last little advert just hanging tenaciously on by a thread. Even flappers, it seems, suffered at times from irregularity. Luckily though there’s Feen-a-Mint. Yesterday when we visited Popular Science in the 1970s, we found our magazine’s audience to be handy and practical people. 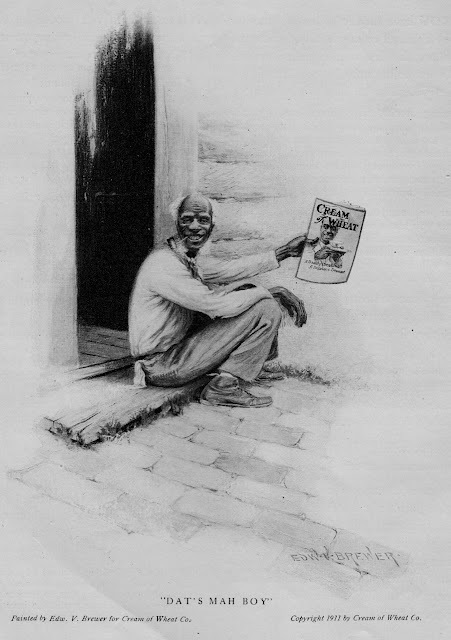 Today we visit the Literary Digest over a century ago and the readers of this little publication have a lot of money to spread around. So let’s see what the richest or the rich were doing with their money in 1911. Cover price for this mag: 10 cents. That’s a modest $2.30 adjusted for inflation. 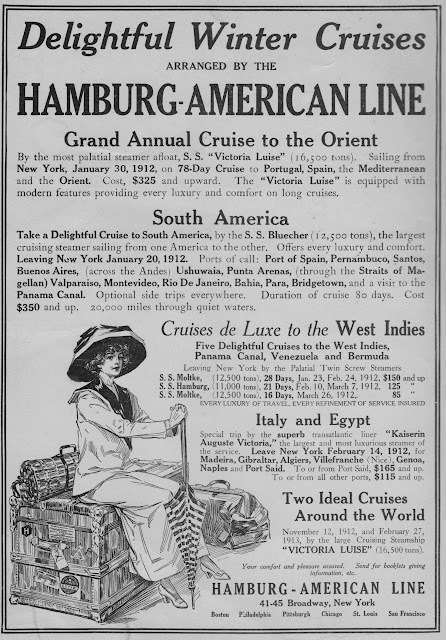 The cruise industry was alive and well. You could take a 78-day cruise for $325. 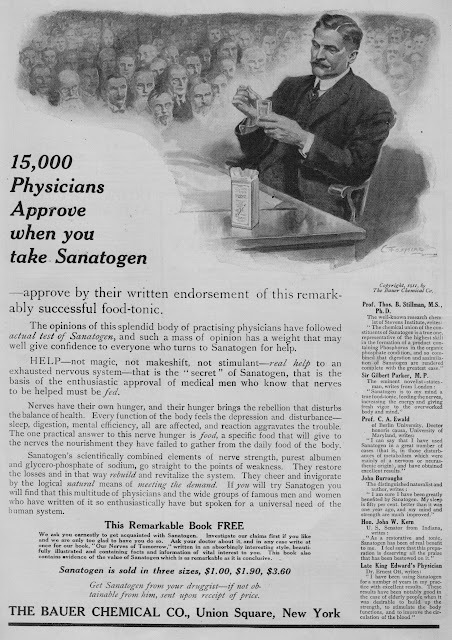 For those days when you’re not feeling up to traveling, there are plenty of miracle medicines to save the day including Sanatogen. 15,000 physicians approve, after all. How did our affluent readers make all their money? 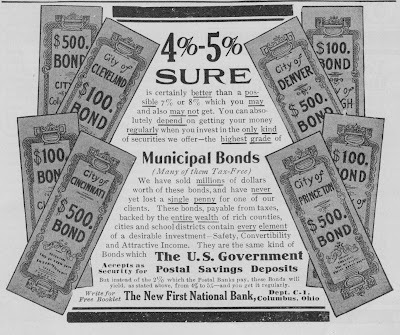 Manhattan real estate and 5% Municipal bonds, of course! This was a time much different than today. 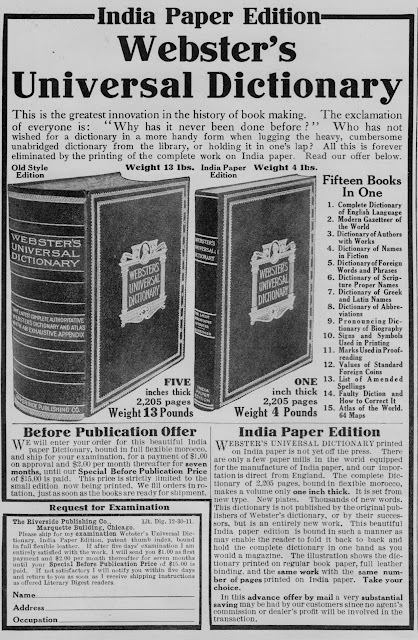 When’s the last time you bought a book that advertised its weight let alone one that was 13 pounds? 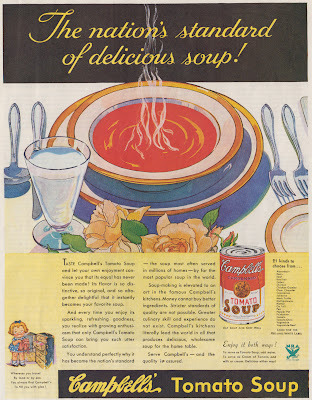 When they weren’t investing or reading their really heavy books there was much luxurious food! 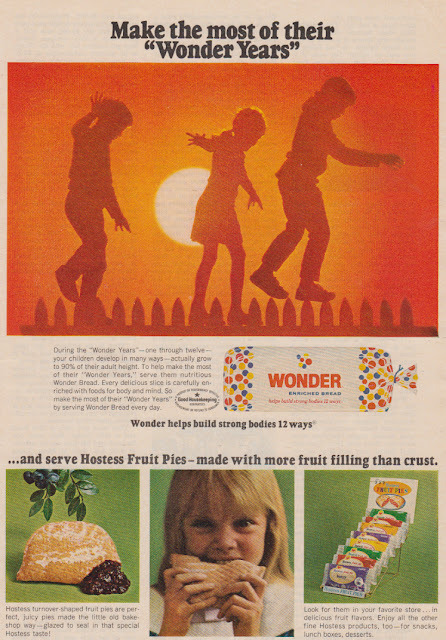 This Cream of Wheat ad today would get someone firebut I post it here as a relic of an archaic value system that made this sort of thing not only acceptable but a good advertising tool. 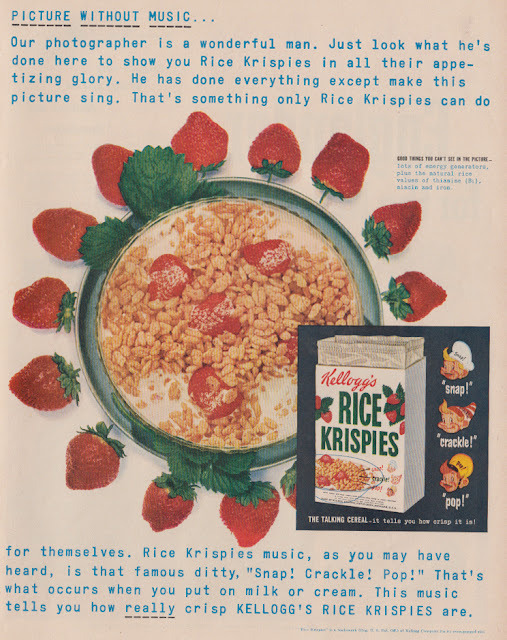 …go well with a bit of sugar. 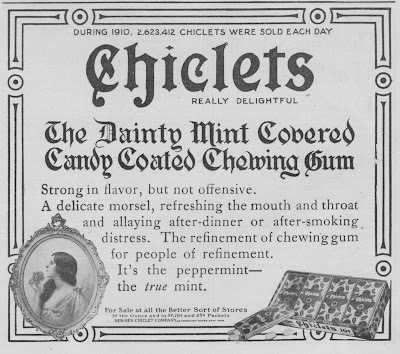 And the immortal Chiclet has been around literally forever. 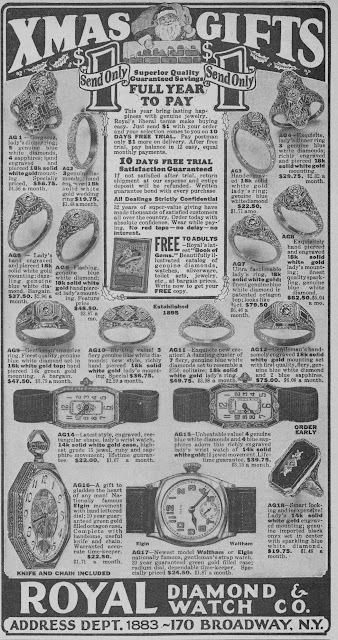 For sale at the “better sort of stores” the ad croons.